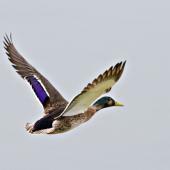 The New Zealand mallard population is derived from 17 small importations of gamefarm mallards from England between 1870 and 1930, and two later imports of birds and eggs from a gamefarm in Connecticut, USA. 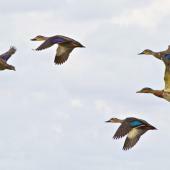 Acclimatisation Societies subsequently bred and released over 30,000 mallards throughout New Zealand until 1974, by which time the mallard had become the most common waterfowl in the country. 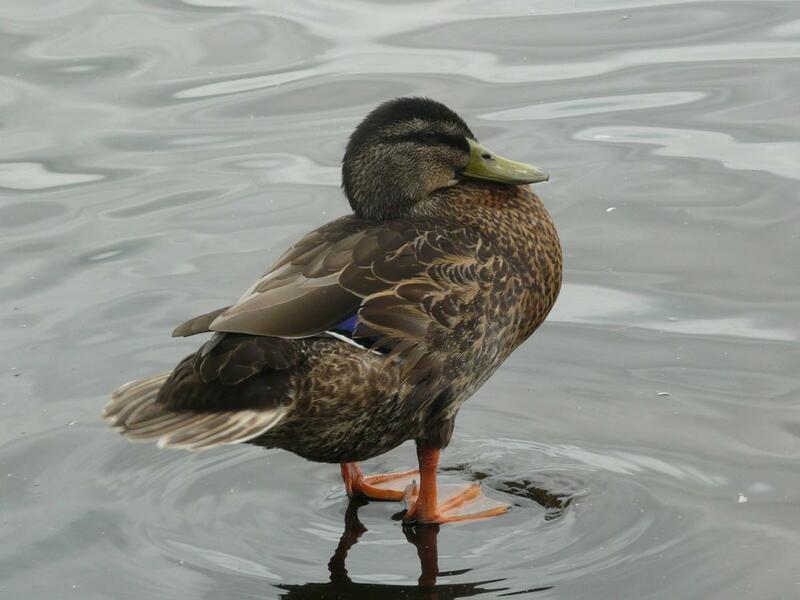 Extensive hybridisation with the native grey duck followed soon after their initial release and the mallard competitively excluded grey ducks from most wetlands, especially those in and near urban environments and in pastoral landscapes. 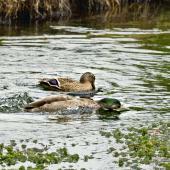 As a consequence of both their gamefarm origin and hybridisation, the plumages of New Zealand’s mallards are highly variable, especially the females, and males in breeding plumage are duller and less striking than wild northern hemisphere mallards. 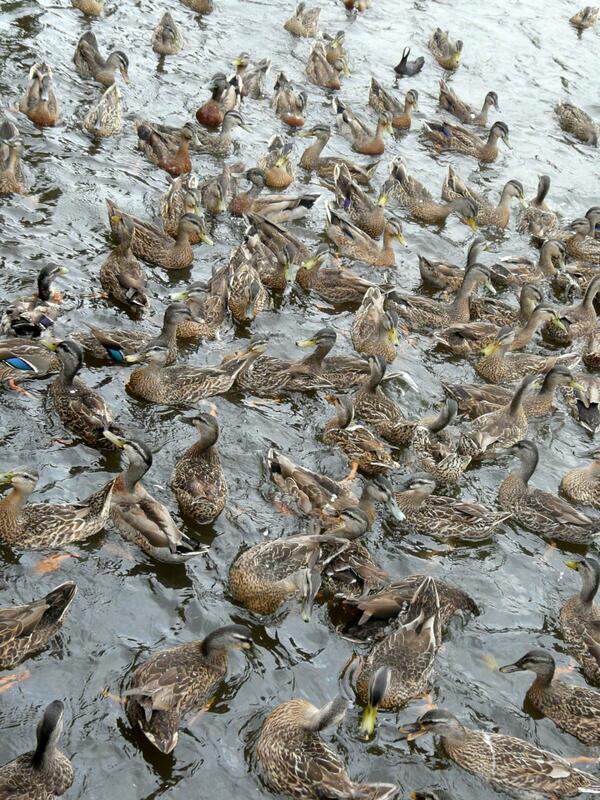 Mallards are the ducks that gather en masse whenever bread is thrown out at an urban pond. 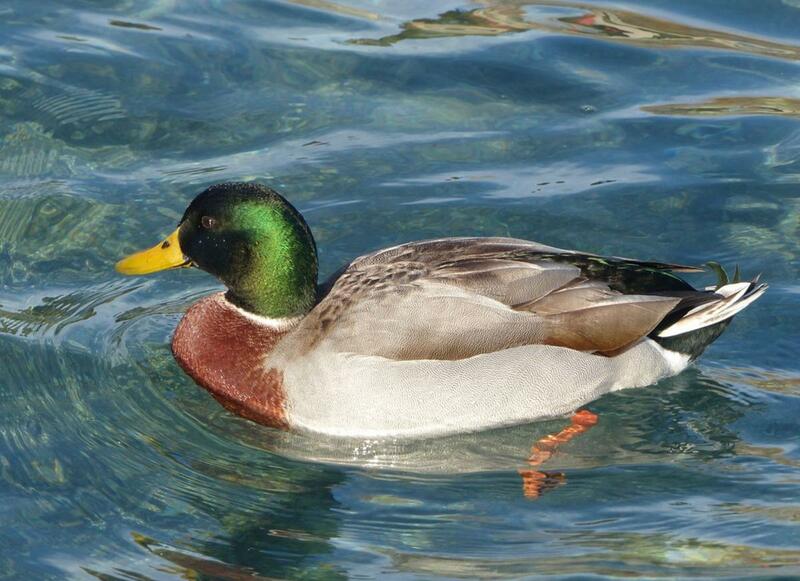 Drakes are about 10% larger than females. 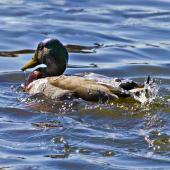 In breeding plumage, drakes have the head and neck glossy dark green, separated from the maroon breast by a thin white collar. The back and flanks are pale grey, and the rump and undertail blackish, with curled black upper tail coverts. 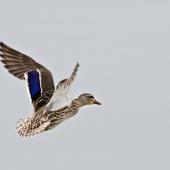 The secondary flight feathers are metallic blue, forming a ‘speculum’ on the trailling edge of the inner upper-wing. The speculum has thin black then slightly broader white edges at front and rear. 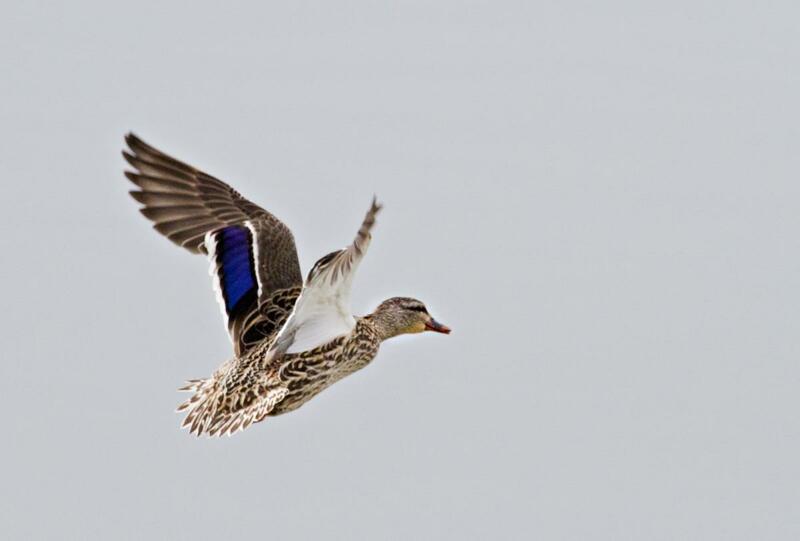 The underwing is white. 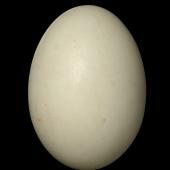 The bill is yellowish, the eye dark, and legs and feet bright orange. 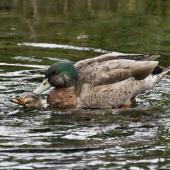 Females are dull brown with feathers edged with buff, and have an indistinct dark eye-stripe on an otherwise featureless face. 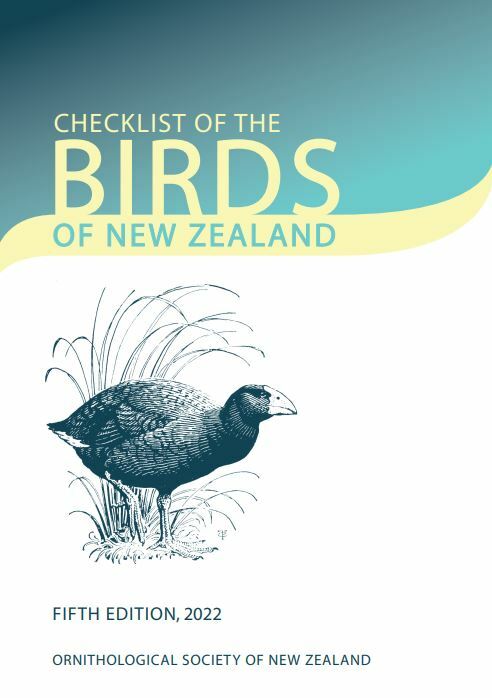 The bill is brownish-grey, orange at base, sides and tip and the legs and feet orange. 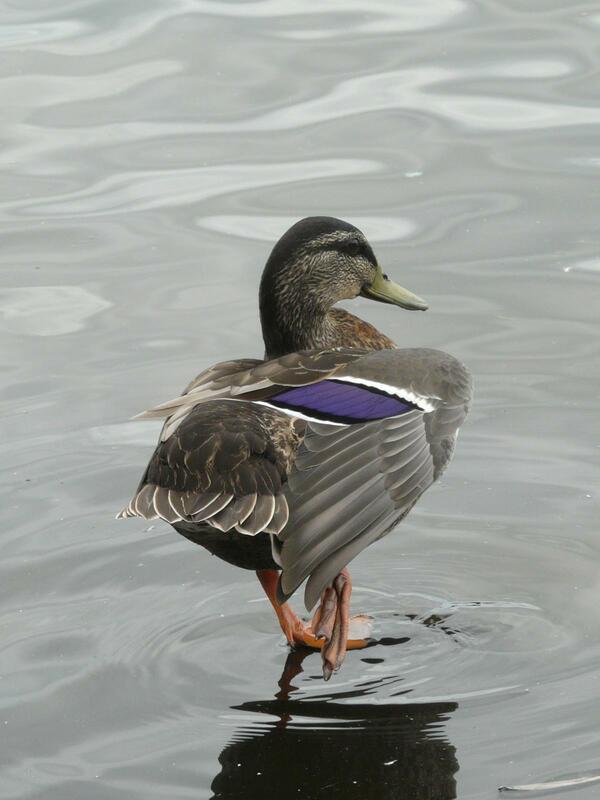 The wing pattern and leg colour are the same as for males. 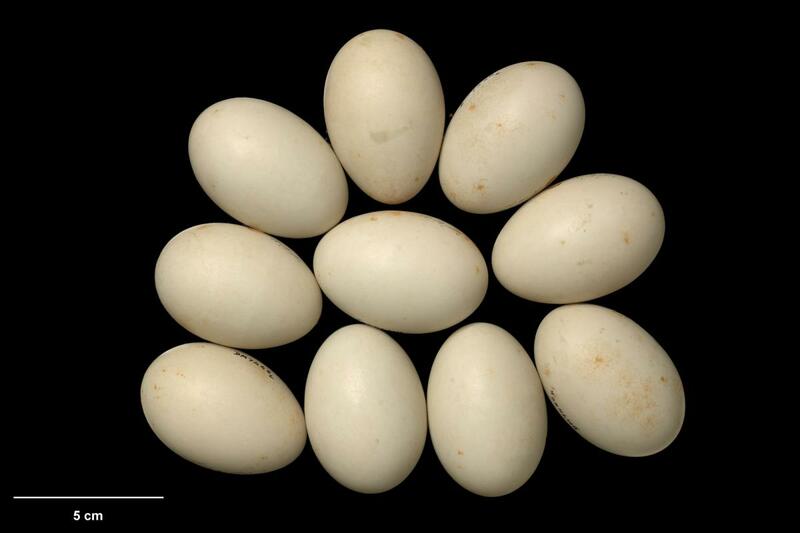 Males in eclipse resemble females, but with head and neck greyish, retaining some green, and the breast chestnut. Juveniles resemble females. 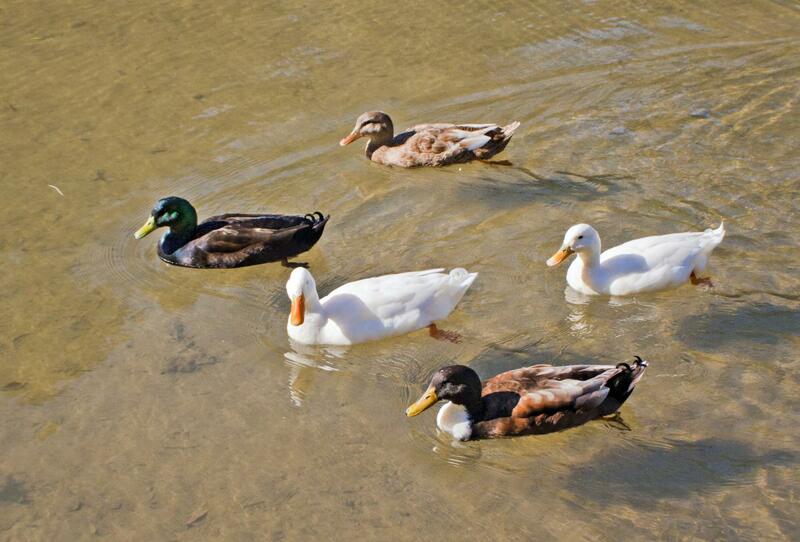 The plumage of New Zealand mallards is highly variable due to hybridisation with grey ducks, and also many domesticated mallard varieties that have escaped into the wild population. 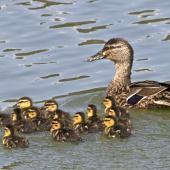 Voice: Female gives typical decrescendo call of about 6-8 loud quacks in a row, soft quacks in communication with ducklings, and a rapid “gag gag gag” repulsion call in courting displays and when pursued by males. Males give soft “raeb raeb” call of variable length. 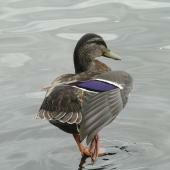 Similar species: females are easily confused with grey ducks from which they can be distinguished by leg colour, bill colour and pattern, less diffuse eye and bill stripes and their more mottled face. 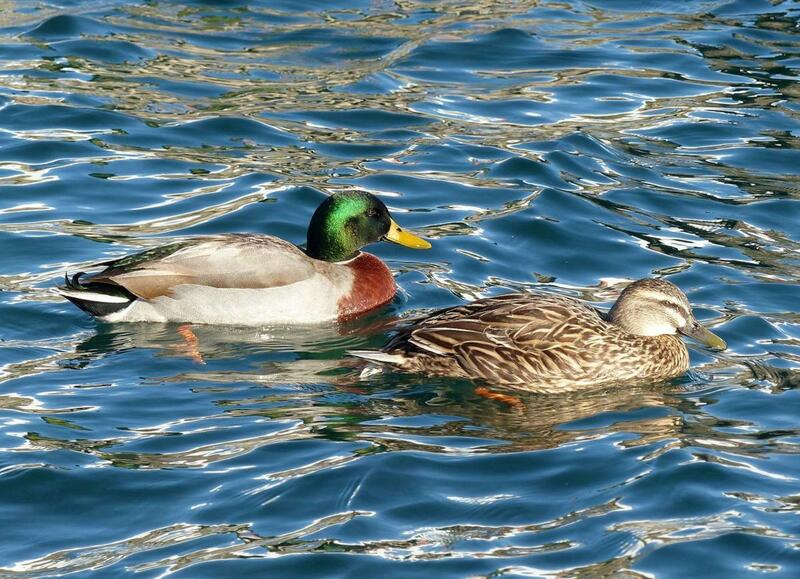 Hybrids with grey duck are confusingly variable in most characteristics, especially in face patterning of females. 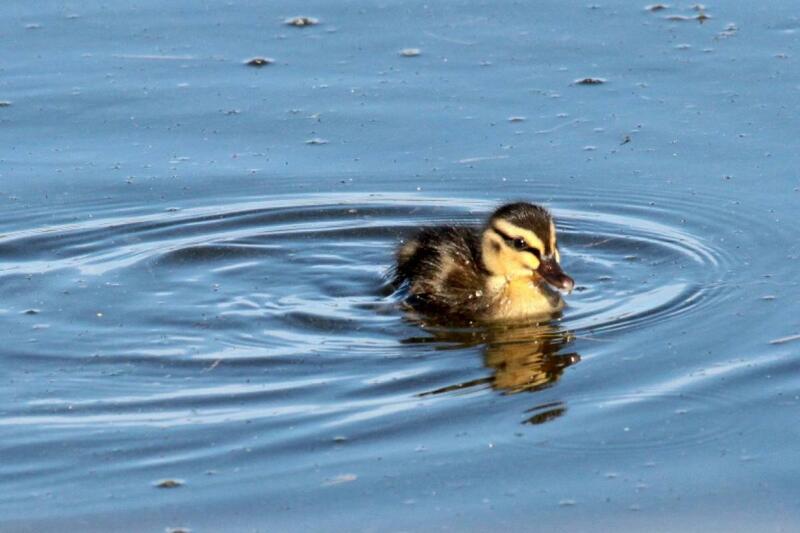 A narrow white or pale fawn anterior speculum stripe (alar bar) on the wing is indicative of recent hybrid ancestry. 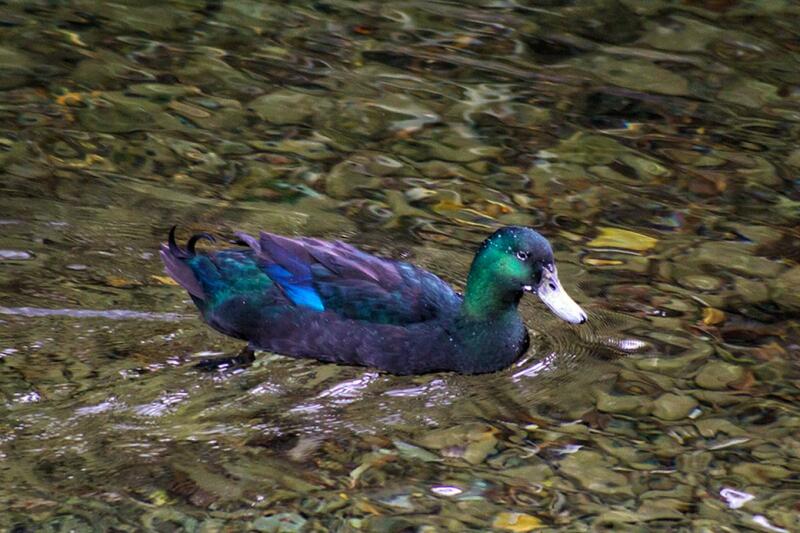 Mallards occur throughout all of New Zealand and on all vegetated subantarctic islands, Chatham Islands and Kermadec Islands and extending to Lord Howe Island (where many are now hybrids with Pacific black duck = grey duck). 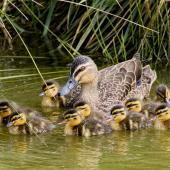 They are most numerous in pastoral environments and in and around urban areas. 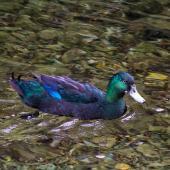 Expansion, and displacement of grey duck, is ongoing in southern Westland and Fiordland. 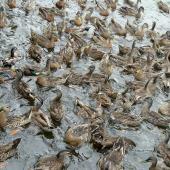 Elsewhere mallards have more-or-less completely supplanted grey ducks. 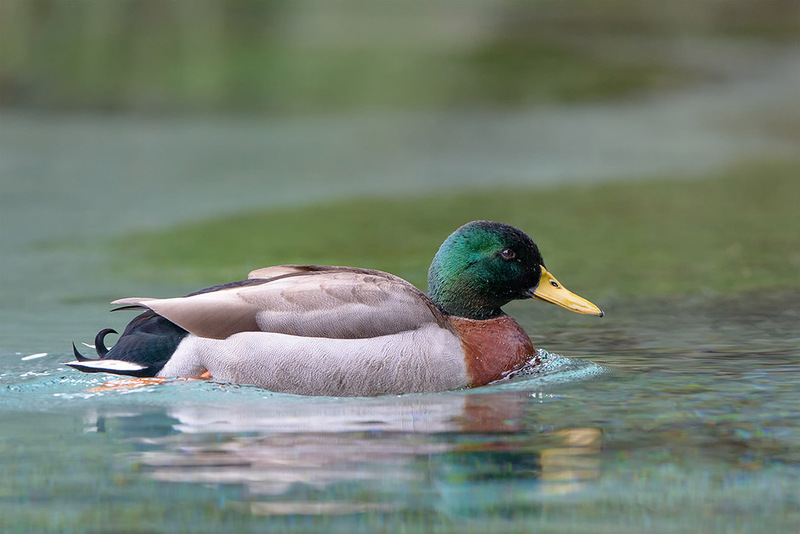 Mallards utilise a wide range of habitats from urban streams and public parks to isolated lakes, drains in pastoral areas to most slow flowing rivers, lowland lakes and hydro-dams to alpine tarns, and estuaries. The mallard is New Zealand’s most numerous and widely distributed waterfowl. There are no credible estimates of the total population. 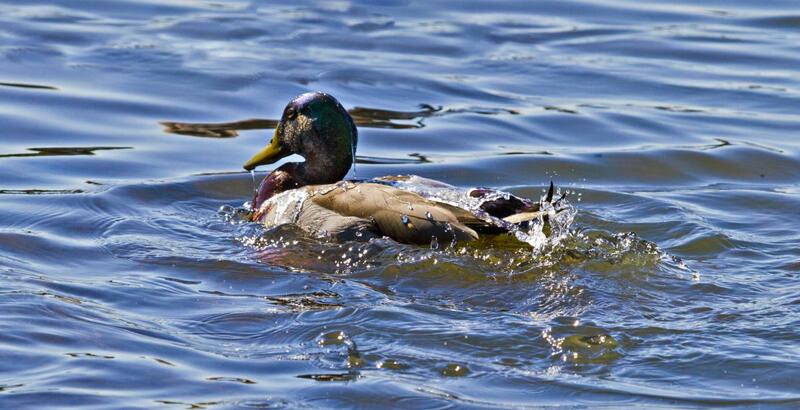 The mallard is a legal gamebird that is hunted during the annual May-June waterfowl season. 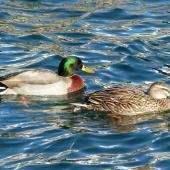 Fish & Game New Zealand estimate that approximately 500,000 mallards are shot each year; this number undoubtedly including mallard-like hybrids. 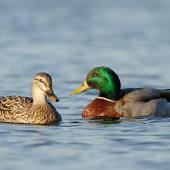 Mallard mature rapidly and can breed in their first year. 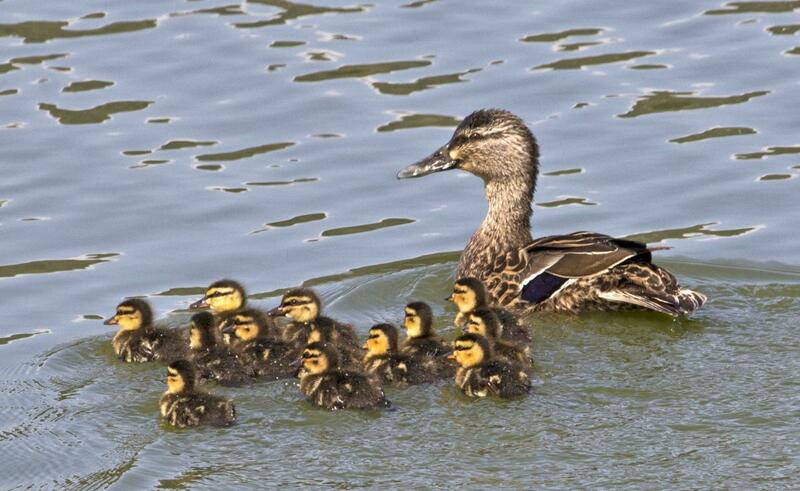 They are seasonally monogamous, with all incubation and duckling care contributed by the female. 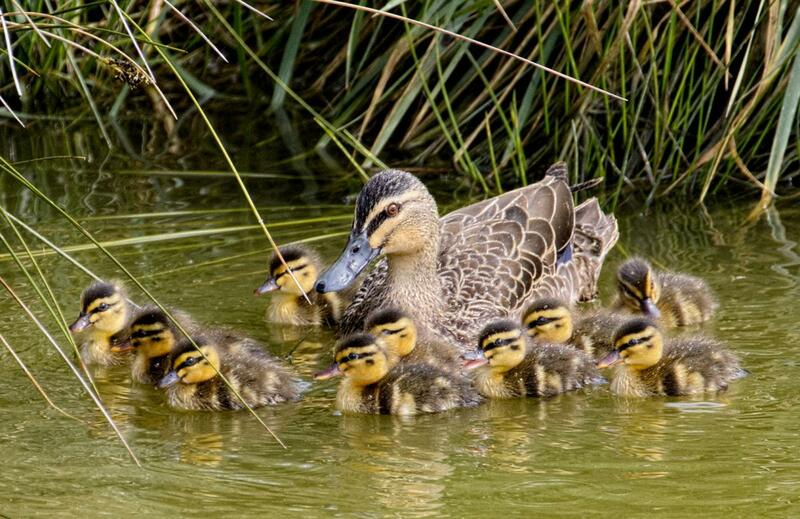 When breeding, they are dispersed on ill-defined territories where the male’s defence is entirely concentrated on female protection and guarding in the lead up to her laying and commencing incubation. 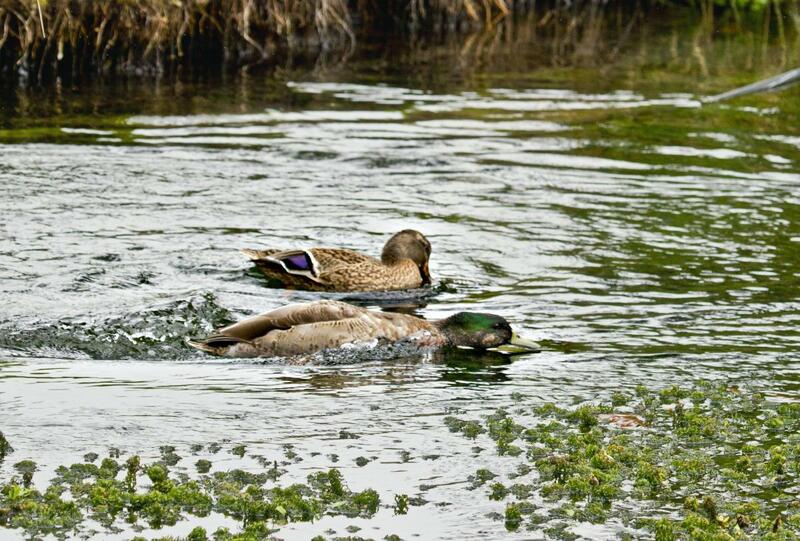 Thereafter males seek additional mating opportunities by pursuing any female still appearing gravid. 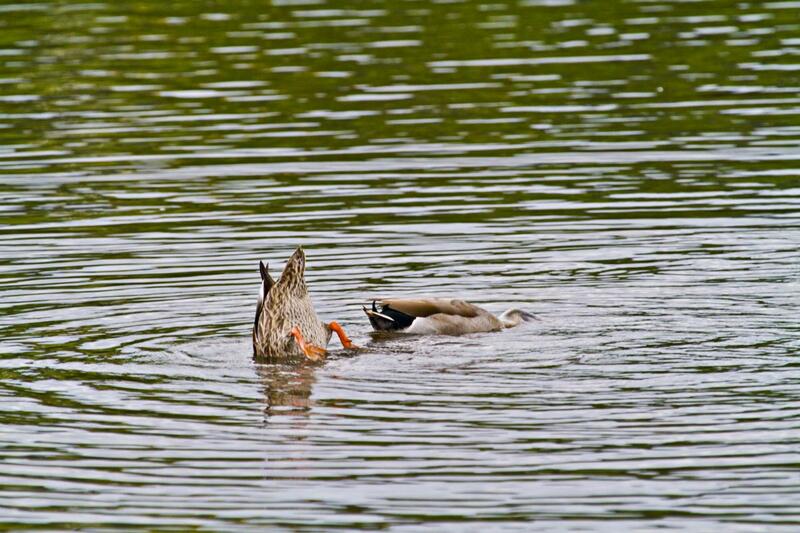 Laying mainly occurs from late July to September, with renesting, if necessary, in October - early November. 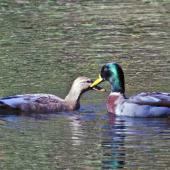 In urban areas, mallards may raise 2 broods a year. 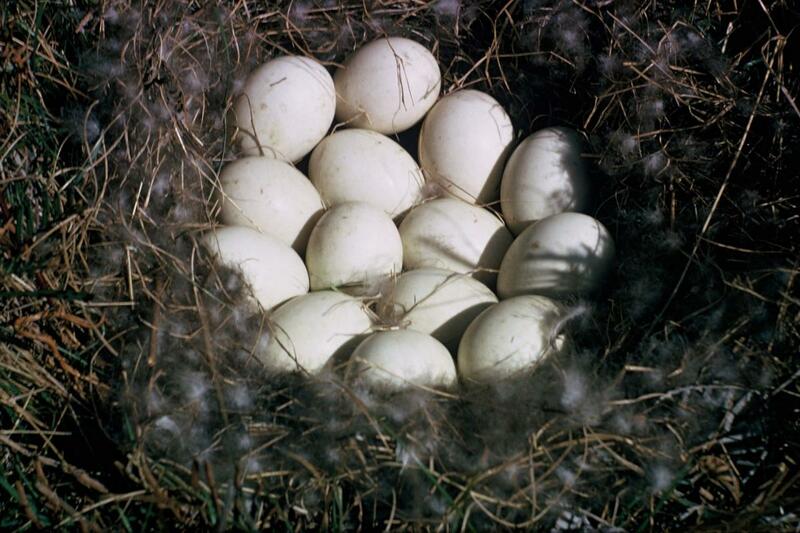 Nests are situated on the ground under cover, seldom far from water, the nest bowl being accumulated debris at the site lined with plucked breast feathers and down. 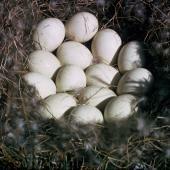 The clutch of 10-13 pale green eggs hatches after 27-28 days of incubation. 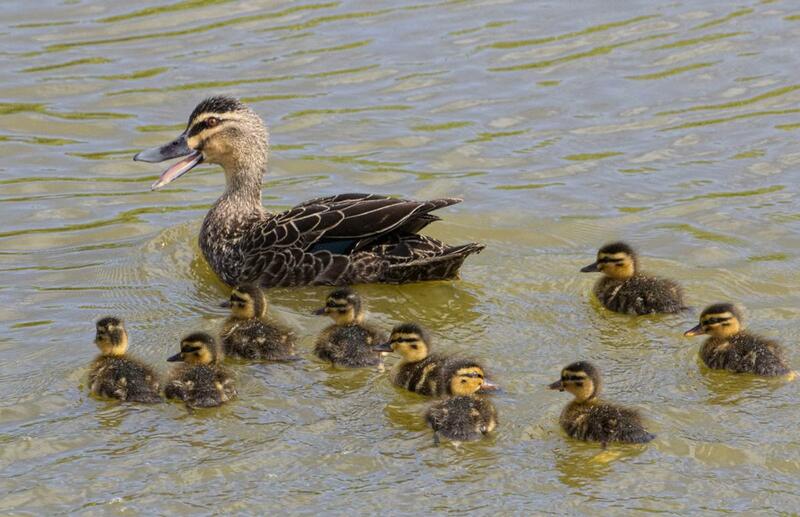 The ducklings leave the nest as soon as all are dry, and follow the female closely, though feeding themselves. 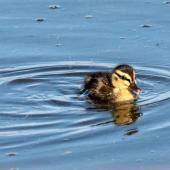 They fledge at about 7-9 weeks. 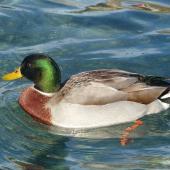 Mallards are typically associated with waters in proximity to human activity but will also occur on remote lakes and headwater rivers. 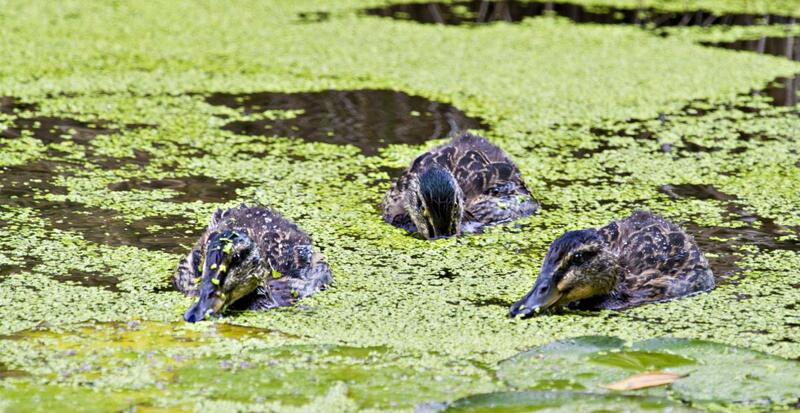 They form large flocks in December–March when moulting, although females may also moult secretively in lakeside vegetation. 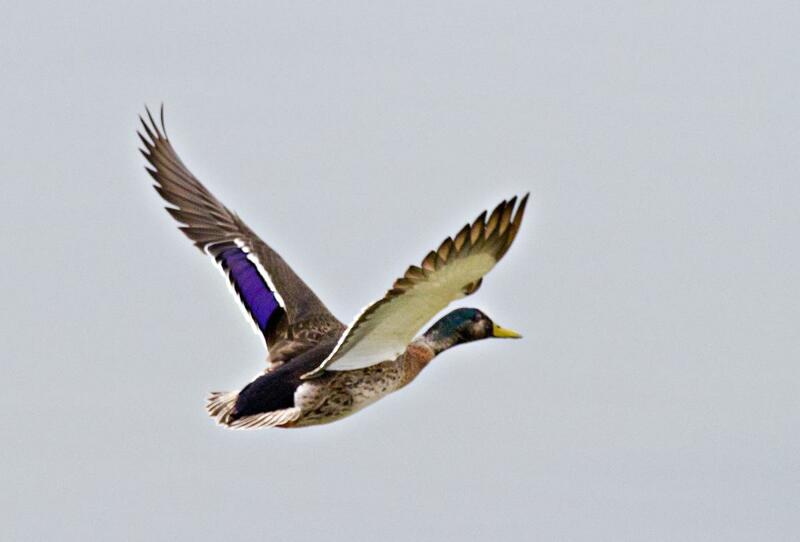 Although strong fliers, mallards tend to be quite sedentary, and widespread dispersal or movements are uncommon. 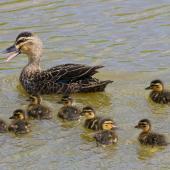 Birds occasionally cross the Tasman Sea to reach Australia and nearby islands e.g. from Otago to Adelaide, and Waikato to Lord Howe Island, New Caledonia and Vanuatu. 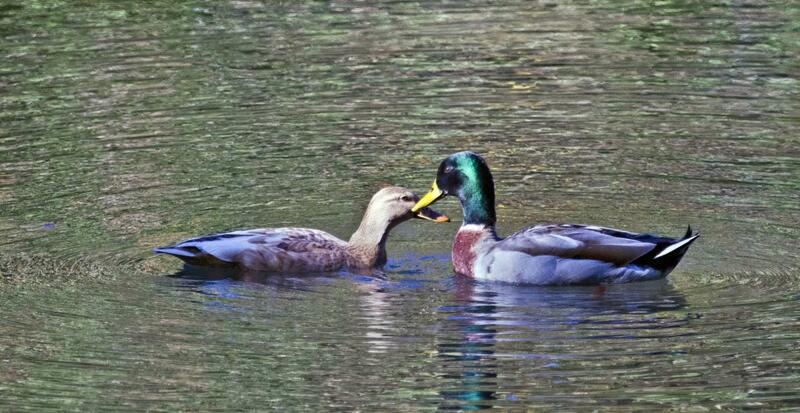 Mallards are both wetland and dry land feeders. 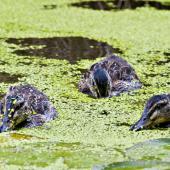 They consume mostly plant material, including seeds, grains, grasses, clovers, tips of most aquatic plants, bread, and human food scraps including McDonald’s fries. 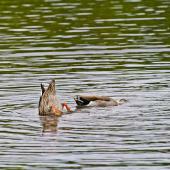 Animal foods, consumed whenever available, include a wide range of insect larvae and adults, freshwater snails and worms, and estuarine invertebrates. Balham, R.W. 1952. 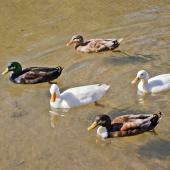 Grey and mallard ducks in the Manawatu district, New Zealand. 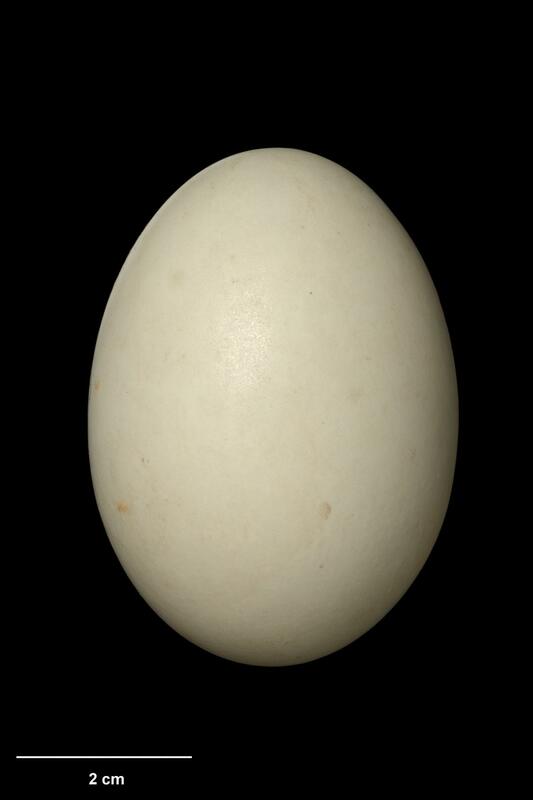 Emu 52:163-191. Dyer, J.; Williams, M. 2010. 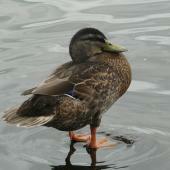 An introduction most determined: mallard Anas platyrhynchos to New Zealand. Notornis 57: 178-195. Williams, M. 1981. The duckshooter’s bag. Wetland Press, Wellington. Williams, M.; Basse, B. 2006. 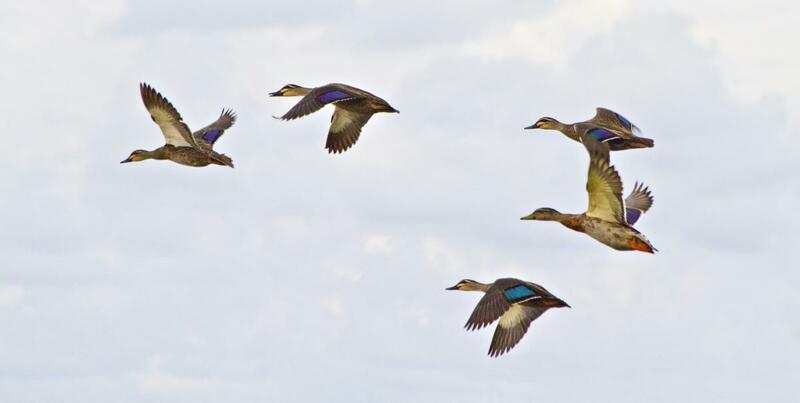 Indigenous grey ducks Anas superciliosa and introduced mallards A. platyrhynchos in New Zealand: processes and outcome of a deliberate encounter. 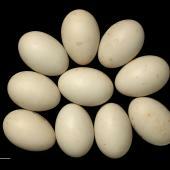 Acta Zoological Sinica 52(Supplement): 579-582. 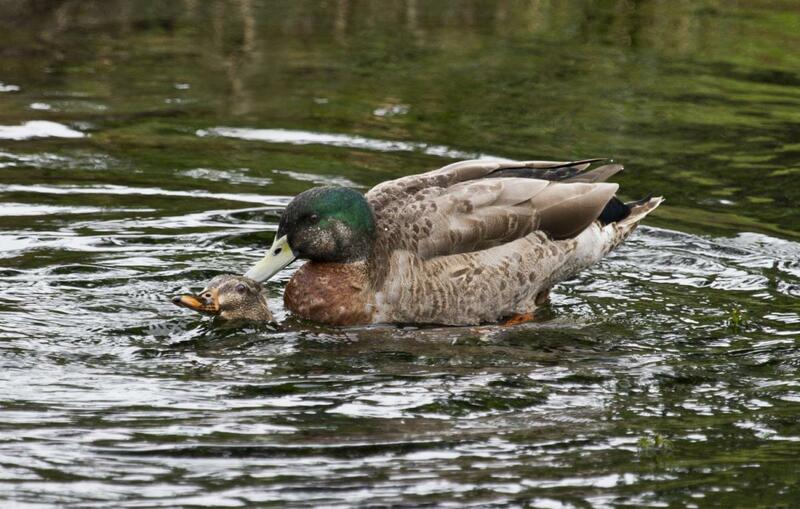 A large dabbling duck with a yellowish or grey and orange bill, dark eyes, orange legs and feet, chestnut breast, and metallic blue speculum. 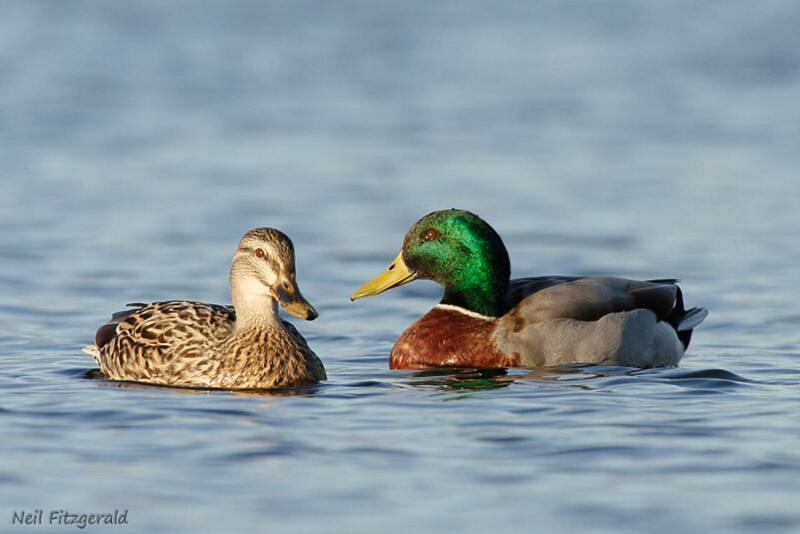 Breeding plumage males have a glossy green head and neck, pale grey back and flanks, and blackish rump and undertail with curled black upper tail coverts; females are dull brown with buff edged body feathers and a dark eye-stripe on the face.